Christin offers private classes at her home in Victoria for out-of-town visitors wanting to learn about her design style, cutting garden and business. You will be immersed in the garden, pick the flowers and plants you will work with, learn about colour and Christin's naturalistic style. 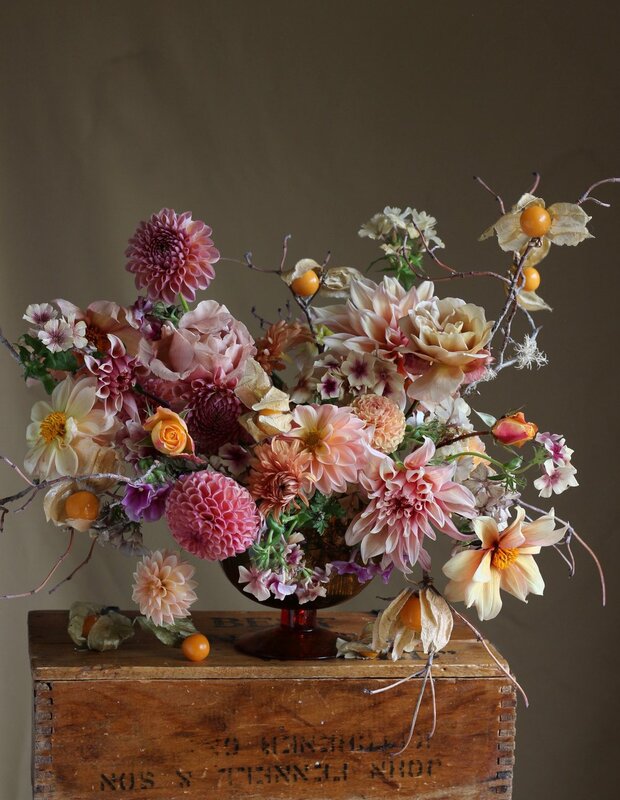 These wonderfully creative flower-filled days are generally aimed at floral designers, but also appeal to others interested in urban growing or running a small floral business. You'll leave with a wealth of knowledge and images to use. The day will run from 10-4. A locally-sourced lunch with wine is provided. Full day $850 CDN. Afternoon rates available.